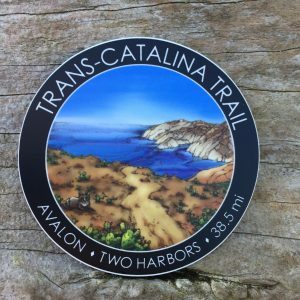 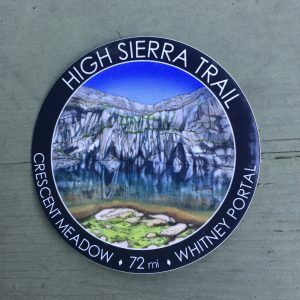 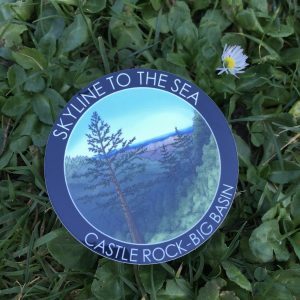 This 3-inch round Trans-Catalina trail sticker is made of durable weatherproof and waterproof vinyl, for indoor or outdoor use. 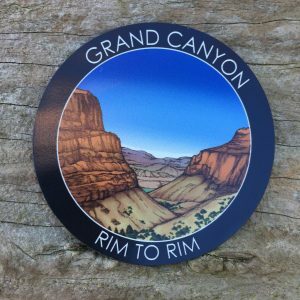 Perfect for your outdoor adventures, you can place your sticker on your bear canister, water bottle, notebook, car, or other flat surfaces. 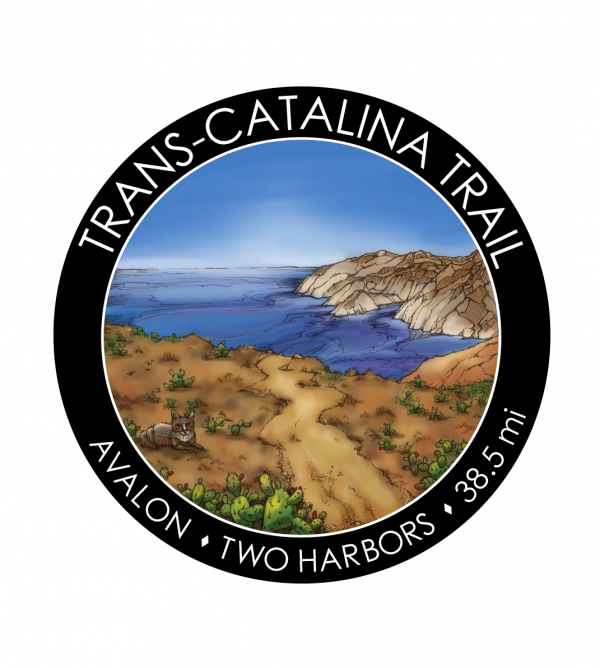 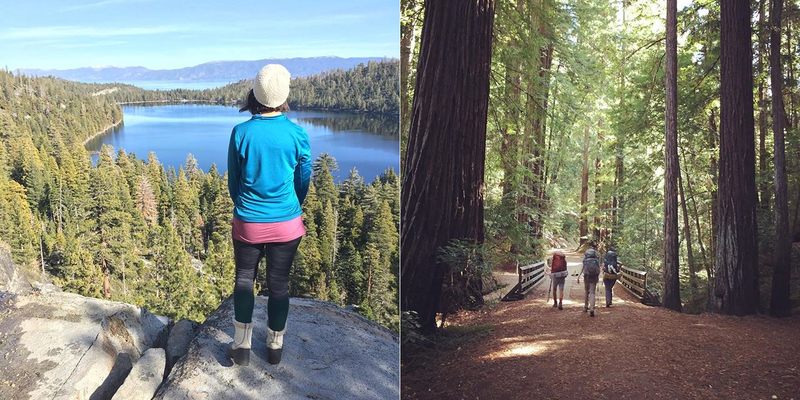 Bring a piece of the Trans-Catalina Trail home with you! 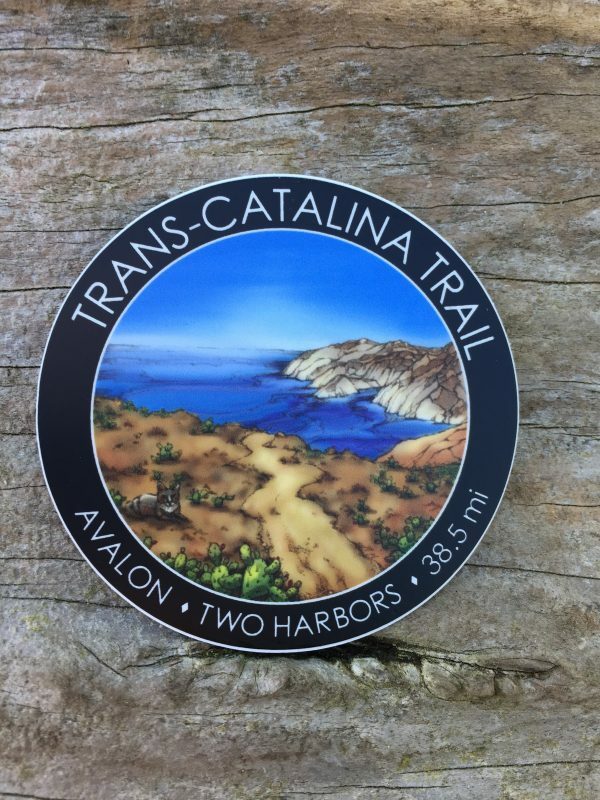 This original illustration of a Catalina miniature fox laying next to the trail was designed after I hiked the trail in December 2018.